After a couple of dismal outings with the (not so) Amazing Spider-Man movies, Peter Parker is once again riding high at the box office. The friendly neighborhood hero has locked in $50.5 million during Spider-Man: Homecoming's first Friday in release. This comes from 4,341 screens around the country. Now, the movie is estimated to pull in $120 million or more over the course of its first three day weekend. Spider-Man: Homecoming was already pretty much guaranteed to be a box office success this weekend, but not even Sony was prepared for these numbers. Sony quietly put out a conservative estimate earlier in the week of around $80 million domestically while other sources seem to have been right on with estimations hovering around the $120 million mark. The perceived competition from Despicable Me 3 seems to have little to zero effect on Homecoming, which makes complete sense since the latter was released last week during the holiday weekend. According to Variety, Spider-Man: Homecoming will place third in highest debut weekend this year, narrowly beating Wonder Woman, which earned an impressive $103.3 million. Homecoming will place third behind Disney's live-action remake of Beauty and the Beast at $174.8 million and Marvel's Guardians of the Galaxy Vol. 2 at $146.5 million. Word of mouth and impressive reviews from critics have no doubt had a huge impact on the success of Tom Holland's first portrayal of the web slinger. Spider-Man: Homecoming is a pretty sizable victory for Sony, which didn't have the success it wanted with the previous Spider-Man vehicle The Amazing Spider-Man. Both Amazing Spider-Man movies didn't live up to the hype of the original Spider-Man trilogy and then Spider-Man hit the break room for a spell. Though the break was not very long before it was announced that Tom Holland would be the next Spider-Man and that this version of Spider-Man would get to play within the MCU. The opening will place Spider-Man: Homecoming as Sony's second highest opening of all time while also finishing second to Spider-Man 3's $151.1 million debut back in 2007. 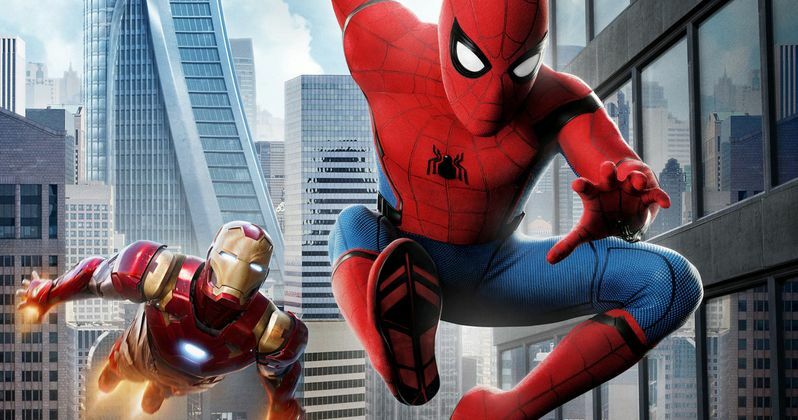 The addition of Spider-Man to the MCU is also a large reason that the movie is exceeding expectations, Holland's small part in Captain America: Civil War was enough to drum up some excitement for a new Spider-Man trilogy. Elsewhere at the box office this weekend Despicable Me 3 took in an extra $11.1 million during its second week, bringing the domestic total up to an impressive $126.5 million. Edgar Wright's Baby Driver is expected to earn another $12.5 million by the end of the weekend. Wonder Woman will have a nabbed an additional $10 million added to its $720 million worldwide box office earnings after the weekend while Transformers: The Last Knight slips to number 5 taking in a lackluster $6 million. Cars 3, The House, The Big Sick, 47 Meters Down, and The Beguiled finish in the top ten as well. Spider-Man: Homecoming is finally here and is doing some major business at the box office, exceeding expectations. Now the real question is whether moviegoers are sticking around to check out the post-credit scenes. Without spoiling anything, there are two scenes and they are definitely worth sticking around for. The future is looking mighty bright for Tom Holland's Spider-Man, which is good since there are still two more movies happening for the trilogy. You can see Spider-Man next in the upcoming Avengers: Infinity War set to be released on May 4th, 2018.